There is much to be said of the benefits of offline promotion and advertising. You'll hear me talk a lot about “tunnel vision” and the impact it has on your business strategy. The neglect of offline advertising methods falls squarely under my definition of 'tunnel vision'. It's easy to see why people succumb to this. 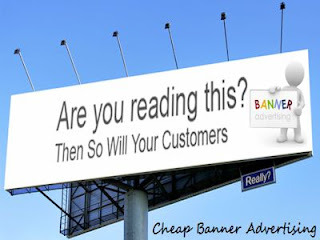 You've got an online business, so you advertise online. It's only logical. The problem with that logic is that it rests on a faulty assumption: the assumption that you don't advertise locally unless you're operating a business with local appeal. In reality, it doesn't matter if you're selling to a universal audience. That's actually the point. Even the guy down the street from you is part of that universal audience as far as the Internet is concerned! So, why struggle to reach him online if you could just as easily induce him to go online by advertising to him where he lives? Your proximity to offline customers is going to give you an instant boost in terms of both intrigue and trust. First, the Internet and the world at large continue to grow a little more anonymous, and a little more isolating, every day. Ironically, the Internet can actually relieve that sense of isolation when used properly. For example: think of a local business in your area. Maybe a restaurant? Now visit their website if they have one. How does this make you feel? It's nice to check out the full menu at leisure, in the comfort of your own home, isn't it? You might even find pictures of the waiters or your favorite table to bring back pleasant memories from your last dining experience there. If your favorite restaurant really knows their stuff, they've probably got some printable coupons, recipes, an online reservation tool or customer feedback options in place. So, know this: these same psychological principles work in reverse, too. Even if you're selling an e-book, there's a market for it in your own backyard. You should advertise offline and make a point of emphasizing that you're locally based. In fact, you might want to create a separate entry page for your local customers. Let them get to know you. Offer them some deals that the rest of your visitors aren't privy to, and really play up the 'next door neighbor' theme. There's a common misconception that offline advertising is prohibitively expensive. fter all, part the great leveling influence of the Internet is that it makes it super-cheap for the average person to start their own business. Overhead costs are generally under $1,000. In fact, you can get away with less than $100 in up-front investment as long as you aren't trying to start “the next Ebay”. Well, somehow, people have confused offline overhead costs with offline advertising costs. If you can afford to place a classified ad to sell your barbecue grill, you can afford to place an ad for your business. I'm not saying it's as cheap to advertise offline as it is online. If you're strapped for capital, you probably won't be able to afford online advertising, either. You need a minimum of at least $50 to invest somewhere, and you need to turn around and re-invest your profits into additional advertising. We've got a mix of price ranges here, and a lot of the cost is dependent on print-quality, volume, pre-existing standards and demand vs.supply. I'll take you now through each method, one-by-one, and discuss when, where and how to use a particular method in a cost-effective way. Your costs here depend on things like: paperweight, black & white versus color printing, page size, and number of copies. A short run of small, black and white flyers Shouldn't run you more than about .03 -.05 cents per page at most commercial printers. If you've already got your own printer, you can print out as many flyers as you need for the cost of paper and printer ink. As far as distribution, you'll need to look for outlets in high traffic areas. This could be a bulletin board at a local coffee shop, a community kiosk, library, etc. Just make sure you have permission to flyer first. Another super cheap method for promoting your website address. Print up about 50 full-color stickers for you, your family and friends for only $64.95 online. Just get yourself a good quantity and slap these onto your vehicle. If you're so inclined, make some extra trips when you can. You'll get noticed in parking lots, in rush hour traffic, and on the highway when you're taking road trips. It's important to have a memorable URL so that people on the road can memorize it or write it down quickly. You might want to get a redirect domain expressly for this purpose, and use that on your sticker rather than your usual (longer) URL. Lastly, make sure you've got some sort of slogan or curiosity-boosting quote on the sticker as well. Something to grab the attention of drivers in your target market. Are you set for life? I am! Finally, don't rule out the possibility of spreading your offline efforts into other cities. If you have access to your customer's real billing address information, consider sending them a free sticker via snail mail. Just imagine if all of your affiliates (or customers-turned-affiliates) had their own unique bumper stickers sporting an easy to remember affiliate url? You'd have a virtual army of offline advertisers driving around with your website address all across the country. T-Shirts are good for URL display and as conversation starters. This is especially true if you find yourself standing in line a lot at places like the bank, the grocery store, the post office, etc.. Ask me how I made $50,000 last year working at home! Migraine headaches? Ask me about the secret cure! You Get the idea? This sets you up with a chance to pre-sell in person, and pass out your business card so that your prospect won't forget your URL on the way home. As far as cost is concerned: if you want to work on the cheap, you need to stick to plain, light-weight cotton t-shirts. They should be white in color, and you should use a one-color printing process. Basically, the higher quality your cotton and the more colors you have in your design, the more expensive it will be. Some people prefer black t-shirts. If that's true for you also, you can probably get a good deal as long as you stick to white ink. Anything else on black will be more expensive because you have to lay down an extra color (white) in order to get your other colors to show up. Printers typically don't (and won't) do small orders. You're looking at a minimum of about 10 t-shirts with most offline print shops. One of the cheapest online quotes that have been found is $9.57 per shirt when you order 250 or more shirts. Even at a 36% discount, you're looking at over two-grand. You might be able to cut costs if you can work out a deal with one of your local printers. You can also buy some cheap shirts at craft stores, then iron a design yourself. Most home offices printers today can print onto special t-shirt transfer paper for just these types of projects. One last alternative is to set up your own shop. create your own 'branded' product line and purchase one-at-a-time type products such as tee-shirts mentioned previously. More and more stations are adding technology and internet special features as part of their newscast. In fact, I've seen a few stations where viewers are encouraged to send in links to websites of interest. If your link is chosen, an anchor will do a short segment reviewing the site. You'll need to have an angle that makes your site newsworthy or of local interest, though. If you can't get in through one of these backdoor tricks, move on to the press release method. You might land yourself an interview or special feature segment on your business. High traffic, locally focused websites are another excellent choice for advertising. Costs will vary. You'll need to visit your target sites to gather up a cost estimate. · Any of your local radio or tv station sites (*note, often banner advertising. Many sites now employ Google Adsense for the bulk of their sponsorships). · Chamber of Commerce sites (you can usually get a link in their directory, if not advertising). · Any other independently owned business site or local resources portal. Here is a super-charged (and often free) tactic you may not have considered. Why not set up a joint venture with another business owner in your own hometown? For example: if you're selling beauty-related products, negotiate a deal with one of the locally owned hair salons. Have them hand out your information and recommend your products in exchange for a percentage of any sales they refer. Sweeten up the deal by offering customers of that salon a discount on your products. This can really work to your benefit. Many people don't think about forming a joint venture between their online business and a brick-n-mortar business. But you can get lots of mileage out of that face-to-face referral. And that referral is coming from someone the customer already trusts, and already does business with. Got some spare cash to donate? Consider giving it to charity or any other worthy local cause. You usually have to invest $500 or more to reach a certain “donor level” and its accompanying benefits. But if you can afford to sign on as a business sponsor to, say, a public radio program, you can get your name and URL read on air. Let's say you sponsor something like a “10K Run for the Cure”. Many cities have charity races like this. Your donation can get you listed on t-shirts, banners and other souvenirs. Billboard advertising: it's high-impact, it gets you noticed, and it often carries with it a hint of “the big leagues” in your customer's mind. They're stuck in traffic. They see your billboard day after day. They naturally make the assumption that you must be pretty serious and important if you're willing to run such a prominent ad. And even though many people will claim that billboards are an eyesore, and that they ignore them, studies show this is simply not true. You really can't avoid noticing at least a dozen of the billboards on the road each time you drive. It's just how the mind works. Your eyes are scanning the environment, and they have to land on something other than the road ahead at least part of the time or you'll wind up in a trance. Let's be honest here, too. Haven't you found at least one billboard advertisement that completely annoys you – and yet, every time you drive past it you can't help but look at it again? It's like trying not to look at a traffic accident. Obviously, this is going to be one of the more expensive offline methods. You'll want to stick to very simple boards – the ones that have slot-lettering, rather than full-color banners. You'll also find some price disparity since there's no one, central owner for all billboards. Some are actually owned and leased out by individuals. There's an excellent resource in the related urls to help you choose the right type of outdoor advertising. You can get a free quote and consultation online.